More often, visiting the doctor means having your medical data entered into an electronic health record (EHR.) Not too long ago, paper records dominated the American medical system. However, the meaningful use incentives that were brought into place as part of the 2009 American Reinvestment & Recovery Act (ARRA) changed that. More specifically, the Health Information Technology for Economic and Clinical Health (HITECH) Act that was part of ARRA put a plan into place that incentivizes healthcare providers to not only use EHRs but use them in a meaningful way (hence the name "meaningful" use). Equally important to many, meaningful use specifies that such activities must ensure patient privacy and record security. Part of that specification requires that providers use certified EHR technology. Another part is that providers have to provide ongoing information about their quality of care and the safety of their systems. The involvement of the Centers for Medicare and Medicaid Services (CMS) was critical to the implementation of meaningful use. At the start of the program, CMS provided substantial payment incentives to providers who implemented meaningful use criteria. While participation was theoretically voluntary, the policies stated that any providers and hospitals that did not embrace EHRs and meaningful use would start to see reductions in their Medicare and Medicaid fees. Since for many providers these fees represent a substantial portion of their revenue, this had the potential to have a serious impact on income. The meaningful use objectives were broken into three stages. The first stage focused heavily on safety and areas where the EHR could make the biggest impact. Objectives included using technology to automatically check for drug/drug interactions and drug allergies at the time of prescription, maintain an up-to-date list of problems affecting a patient, track all medications a patient is using, encourage and record smoking assessments and make it easier to track patients by condition in order to both improve follow up and implement quality improvement measures. Meaningful use stage 2 continued to broaden the functionality that was expected from EHRs. One of the core elements was improving and standardizing the way that patient data was collected. This included reliably recording both patient demographics and patient vital signs. Meaningful use stage 2 also encouraged doctors to provide clinical summaries to patients and develop tools for secure electronic communication. In addition, it required hospitals to have a way to record advanced directives for older patients. Anyone who has received healthcare since 2013 has probably experienced some of these changes in person. Stage 3 represents the final series of objectives and measures for meaningful use that were put into place between 2015 and 2017. There were eight objectives described in the Federal Register documents spelling out these rules. These objectives were broken into two categories. The first category were objectives that affect patient safety and clinical effectiveness. The second set were objectives that make it easier to exchange information electronically. The need to protect patient health information had been spelled out in detail in meaningful use stage 2. Meaningful use stage 3 added a requirement to conduct or review security risks and update encryption as necessary. Clinical decision support tools are designed to help providers take better care of their patients. They include a variety of different tools for different situations such as alerts and reminders, sets of orders that are sent out automatically for certain conditions/procedures, and clinical guidelines. In general, clinical decision support tools can help prevent mistakes, encourage better documentation and follow-up, and/or generally improve the quality of care. Succeeding at this objective requires providers and health systems to implement clinical decision support for "high-priority" health conditions. Success is measured by implementing at least five interventions and making certain that the EHR can detect drug allergies and drug-to-drug interactions. This objective is pretty straightforward. When health professionals put in orders, they should do so electronically. Orders can be for medications, imaging, or other services such as lab tests. Submitting orders electronically allows the orders and results to be more easily tracked within the system. Success in this objective would be achieved when 60 percent of medication, laboratory test, and diagnostic imaging orders are being submitted electronically. This objective seeks to make it possible for patients to be able to access their health records electronically in a timely manner. This includes not just the ability to view and download personal health records but also to send them to other physicians as necessary. This objective also requires the medical system to target health-related educational materials to patients. It's one thing to make it possible for patients to access their health records electronically. It's another thing to get them to actually do so. This objective tries to make patients more active participants in their healthcare by having providers encourage them to access their health records. Success for this measure requires 10 percent of patients or their representatives to view, download, transmit, or otherwise access their health information. It also requires at least 25 percent of patients to receive secure messages and for the system to incorporate data generated by the patient. This objective is at the heart of the goal of making healthcare portable. It requires the provider to provide a summary of care record to any patient being transitioned to a new site of care. It also requires providers to "receive or retrieve" such a summary for any new patient. Then, the information received must be incorporated into the EHR. Reconciling data in the system is at the core of meeting this goal. When the meaningful use rules were initially proposed, many individuals were excited about one particular requirement of stage 3. That requirement was that healthcare systems must have the ability to record the sexual orientation and gender identity (SO/GI) information of their patients. This information has the potential to substantially improve the quality of care for patients with conditions related to sexual orientation or gender identity. For example, recording gender identity information can explain to an insurance company why a transgender man needs a pap smear. The final rule for stage 3 requires the demographic data collection tools specified in stage 2 to be expanded to include SO/GI information. That means these data fields have been part of the basic EHR data definition since 2015. Unfortunately, they have still not been implemented across all EHRs and health systems. It can be difficult to motivate both health systems and software providers to make such upgrades. The implementation of Stage 3 was supposed to span from 2015 to 2017. Noticeably, this period was also the time when an important political change happened in the United States—the election of Donald Trump as the 45th president. The Trump administration has made numerous changes to healthcare policies. This includes the meaningful use program, which has been rebranded as "Promoting Interoperability." As part of this change, reporting requirements were significantly decreased. In all, 39 quality measures were removed from the program. The eliminated measures included everything from structural safety measures such as the "Safe Surgery Checklist," to more procedure-specific measures such as the rates of catheter-associated urinary tract infections. It is not yet possible to measure the impacts of these changes on healthcare quality and outcomes, as most do not go into effect until 2020 or later. Evidence suggests that meaningful use incentives have improved healthcare delivery and outcomes in a number of ways. For example, doctors have become far more likely to assess whether patients are smoking. They are also more likely to discuss smoking cessation and counsel people on how to quit. Secure messaging has been shown to help individuals control their diabetes and it has been linked to improvements in Hemoglobin A1c. Improvements in other areas of medicine have also been reported, such as in dementia care. Streamlining and systematizing medical care seems to have made it more efficient. Templates for documentation and checklists for care make it more likely that important questions are routinely asked. Transmitting prescriptions and orders electronically means that they're more likely to be filled correctly rather than be misread because of a provider's handwriting. These changes haven't been without problems. As new systems come online, errors tend to increase for a while before things improve. 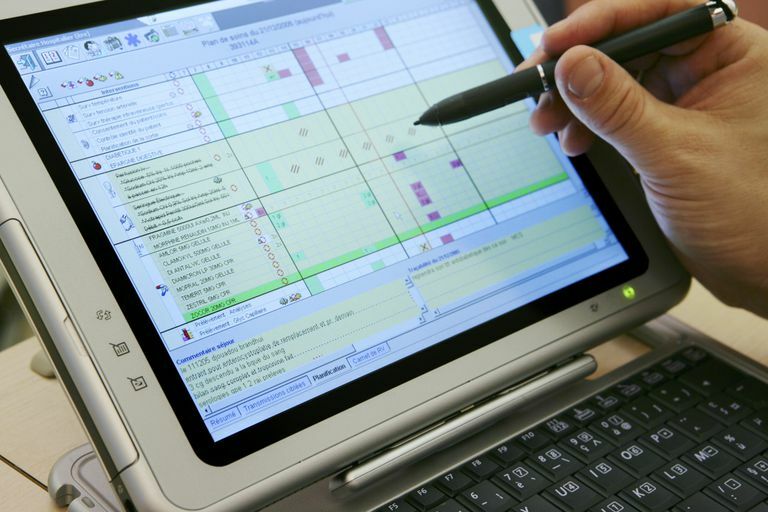 Training on EHR use is not always consistent, and many providers are frustrated with systems that they have never learned to use well but are still expected to use quickly. Nonetheless, evidence suggests that, by and large, meaningful use has improved patient care. It has improved patient outcomes. It has improved communication between systems and made it harder for people to fall through the cracks. Hopefully, the change in focus to promoting and prioritizing interoperability will continue to improve patient access without diluting the improvements the program has made to population health and quality of care. Cahill S, Makadon H. Sexual Orientation and Gender Identity Data Collection in Clinical Settings and in Electronic Health Records: A Key to Ending LGBT Health Disparities. LGBT Health. 2014 Mar;1(1):34-41. doi: 10.1089/lgbt.2013.0001. Centers for Medicare & Medicaid Services (CMS), HHS. Medicare Program; Hospital Inpatient Prospective Payment Systems for Acute Care Hospitals and the Long-Term Care Hospital Prospective Payment System and Policy Changes and Fiscal Year 2019 Rates; Quality Reporting Requirements for Specific Providers; Medicare and Medicaid Electronic Health Record (EHR) Incentive Programs (Promoting Interoperability Programs) Requirements for Eligible Hospitals, Critical Access Hospitals, and Eligible Professionals; Medicare Cost Reporting Requirements; and Physician Certification and Recertification of Claims. Final rule. Fed Regist.2018 Aug 17;83(160):41144-784. Centers for Medicare & Medicaid Services (CMS), HHS. Medicare and Medicaid Programs; Electronic Health Record Incentive Program--Stage 3 and Modifications to Meaningful Use in 2015 Through 2017. Final rules with comment period. Fed Regist. 2015 Oct 16;80(200):62761-955. Bailey SR, Heintzman JD, Marino M, Jacob RL, Puro JE, DeVoe JE, Burdick TE, Hazlehurst BL, Cohen DJ, Fortmann SP. Smoking-Cessation Assistance: Before and After Stage 1 Meaningful Use Implementation. Am J Prev Med. 2017 Aug;53(2):192-200. DOI: 10.1016/j.amepre.2017.02.006. Kuo A, Dang S. Secure Messaging in Electronic Health Records and Its Impact on Diabetes Clinical Outcomes: A Systematic Review. Telemed J E Health. 2016 Sep;22(9):769-77. DOI: 10.1089/tmj.2015.0207.